We tell you what to do in Sarajevo, the starting city of the Great Balkan Ride. 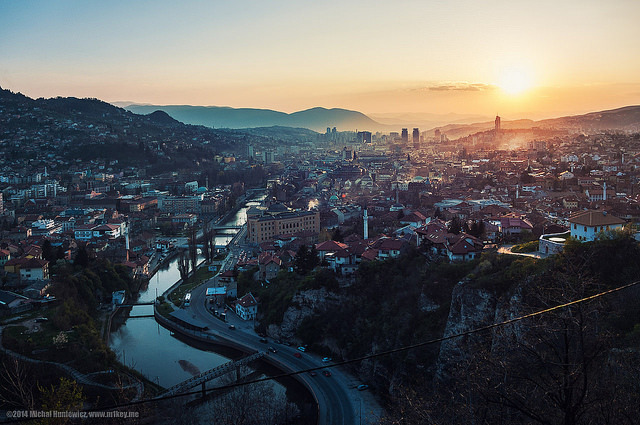 Sarajevo, the capital of Bosnia, is a historical gem right at the heart of the Western Balkans. Fittingly, it’s the starting city for the Great Balkan Ride minimal assistance rally, which will explore the wild side of Europe, beginning on August 5th. Smart teams will arrive in plenty time to explore the city’s rich culture, varied architecture, and haunting past. Though memories of the longest siege in the history of modern warfare, from 1992 to 1996, still linger, our guide on what to do in Sarajevo shows that there is much left to celebrate. 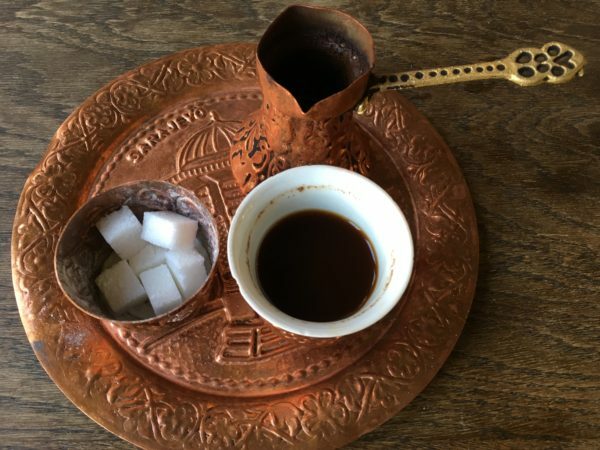 All across the Balkans people start their day with Bosnian coffee, usually served in traditional style: in a pot called a džezva, on a intricately designed plate, and with a little lokum, a small sweet similar to Turkish delight. Sit with locals in the old quarter, enacting a custom played out for centuries. There is a noticeable Turkish influence on local cuisine, with the local baklava being particularly delicious. When it comes to savoury food, burek (filled pastry) and ćevapi (small grilled mincemeat sausages) are found all over the Balkans, but Sarajevo has the best. Proper Sarajevo burek, known as pita, is filled with meat, though options of cheese, spinach, and potato, are available. Be prepared for very large portions! Try the ćevapi at Željo, often said to have the best in the city. For a stronger drink, and nostalgia for a slightly more recent time, head to Cafe Tito, a venue entirely dedicated to the legendary leader of Yugoslavia. However, the best night out to be had in Sarajevo is undoubtedly at Kino Bosna, the former cinema now raucous bar. The wildest nights are Mondays (and, increasingly, Thursdays), when local bands play traditional music. It’s smoky, but after enough beer and rakia you’ll no longer notice. Arrive early to get a table. Other popular bars are Zlatna Ribica, which has a weird and wonderful uniquely Bosnian interior, and The Brew Pub, where you can find locally brewed Craft Beer. 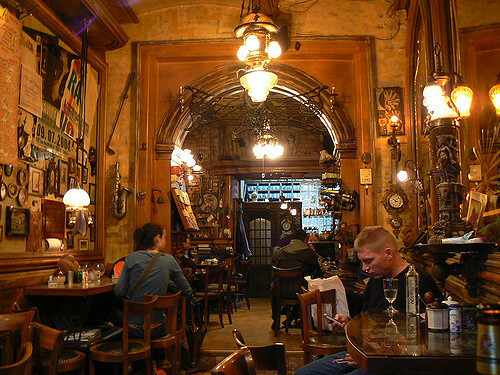 Alternatively, head to Pivnica, a large beer hall with a great selection of cheap beer. The most famous area of Sarajevo is Baščaršija, the old Turkish quarter. At its heart is the so-called pigeon square, and at the center of this stands the Sebilj, a wooden water fountain. Around this you can find the narrow alleys of the traditional open bazaar, where you can buy a whole manner of handmade goods, including authentic coffee sets handmade by coppersmiths, which make perfect souvenirs. This historic area of the city, dotted with mosques, seems virtually unchanged since the times of Ottoman rule. Wandering around is like stepping back in time. 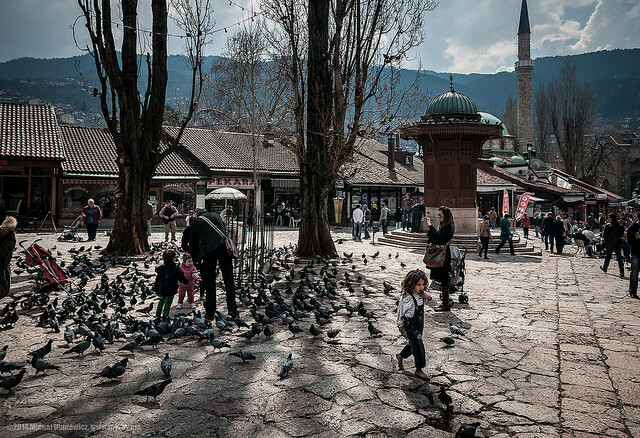 Although in the 1990s ethnic conflict savaged Sarajevo, the city was for a long time a hub of remarkable multiculturalism, the treasures of which remain visible today. You can see prominent places of worship for Muslims, Catholics, Orthodox Christians, and Jews. 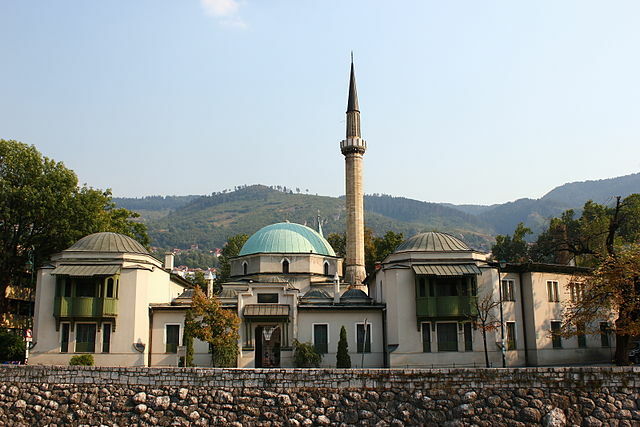 There are several impressive mosques, most notably Gazi Husrev-bey Mosque in Baščaršija, which is almost 500 years-old. The Old Orthodox Church is similarly old, though the the Serbian Orthodox Cathedral is more impressive, being one of the largest in the Balkans. The most notable Catholic place of worship is the Sacred Heart Cathedral, right in the center of town; this was damaged during the Siege but has since been repaired. For completeness, you can visit the Sarajevo’s Ashkenazi synagogue, over a century old but recently renovated. The grand and varied architecture of Sarajevo evokes centuries of imperial rule, while bullet-damaged walls and mortar damage (often filled with red resin, to mark a scene where people died) recall the modern past. However, the city was also the venue for perhaps the most significant single act of the early 20th Century. It was here that Archduke Franz Ferdinand, heir to the throne of the Austro-Hungarian Empire (of which Bosnia was part) was assassinated on 28th June 1914. This, of course, is commonly regarded as the event that provoked the start of the First World War. 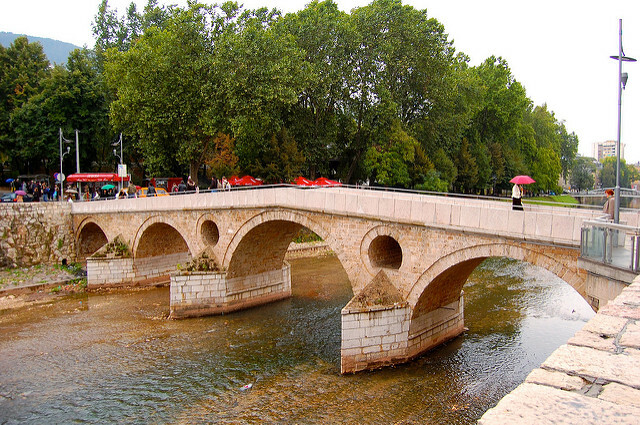 You can see the spot beside Latin Bridge (above), where assassin Gavrilo Princip, a Yugoslav nationalist, fired his fatal shot. While visiting Sarajevo’s best museums may not be a joyful experience, doing so is essential to grasp the suffering that Bosnia endured in the 1990s. Three are particularly powerful. 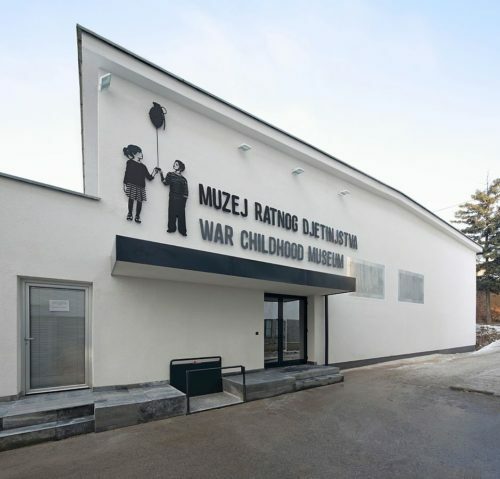 The War Childhood Museum opened only recently, having developed from an exhibition in the main history museum. It documents life under the siege using photos, objects, and accounts by survivors themselves: the displays are informative, at times humourous, and on occasion utterly devastating. Similarly distressing is Gallery 11/07/95, a photo gallery in the very center of the city, commemorating the horrific events that occured in Srebinica, Eastern Bosnia. The exhibition space is modern, and the black-and-white photography on show is remarkably powerful; be prepared for tears, but no trip to Bosnia is complete without understanding this tragic story. The third essential museum is one that evokes hope, rather than merely sadness: the Tunnel Museum. This tells the story of the so-called ‘Tunnel of Hope’, which during the siege was the city’s only way to access the outside world. It led to UN controlled territory the far side of the airport, and allowed food, humanitarian aid, and weapons to enter the city, and provided passage for Bosnians to escape. 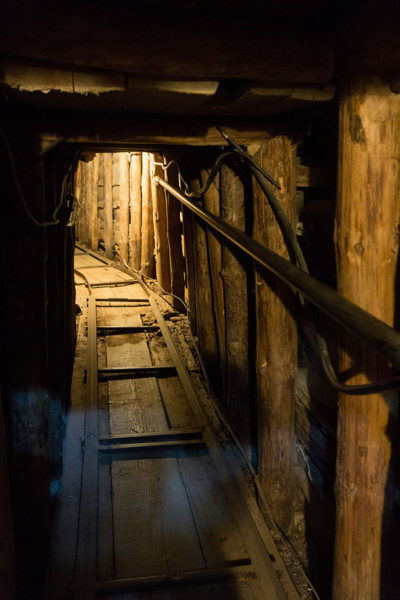 The museum is located in the family home which contained the secret entrance to the 800 meter tunnel. Here you can find tours of the tunnel itself, as well information about how it was built, used, and cherished. A happier memory in Sarajevo’s history is that of the Winter Olympics of 1984. If you visit the city in winter, the nearby hills provide many excellent locations for winter sports, and at incredibly reasonable prices. 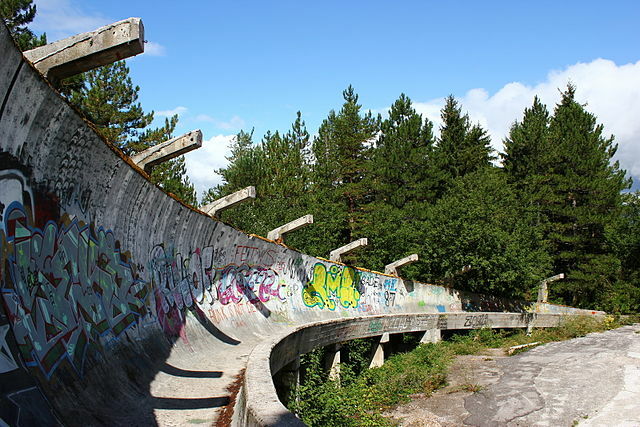 However, even in summer, you can explore the remains of event, including the course for the bobsleigh run. You can walk along the now graffiti-covered track, which has sadly fallen into a poor state of disrepair. There are abandoned venues for various events dotted around the area and within Sarajevo itself, a sad reminder of Yugoslavia’s glory days. 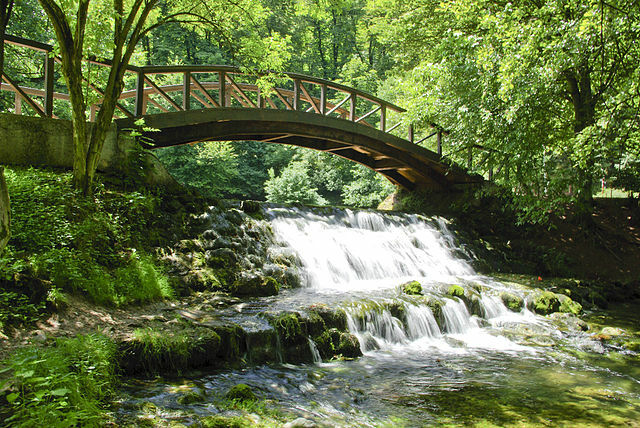 Especially in summer, a popular location only a tram-ride away from Sarajevo’s center is Vrelo Bosna park. This is the spring of the Bosna river, in the foothills of Mount Igman; here you can find a natural paradise, the perfect way to rid yourself of the city blues. You can feed the ducks, ride a bike, or have some tea in a cafe. One final activity to do in Sarajevo, often raved about by tourists, is to climb up to the Yellow Fortress at sunset. Entrance is free, and the view of Sarajevo’s cramped streets, and a skyline filled with church towers and minarets, is a great opportunity for photos. See you there in August! Previous postIntroducing The Great Balkan Ride! Next postWhat Makes Thessaloniki Special?